Posted on October 17, 2016 at 5:39 pm. James Packer and his international gambling empire have suffered a massive blow after Crown Resorts’ Chinese operations were hit in sweeping government raids. Media outlets are reporting that Chinese officials have detained 18 Crown staff, including three Australians. Among the detainees is one of Packer’s top executives – Jason O’Connor, who heads Crown’s international VIP gaming program. The sting is just the latest in a nationwide crackdown on corruption in China, where authorities have conducted similar raids on Macau casinos since 2013. Desperate to restore public faith in the Communist Party, the Xi Jinping government wants to stamp out any suspicion of money laundering and bribery related to gambling. While the immediate concern is for the 18 Crown Resorts staff in detention, there could be severe long-term impacts upon the Australian casino industry as a whole. Packer’s new Crown Sydney project, scheduled to open in 2020, will cater almost exclusively to VIP gamblers, but recent developments in Asia have left the casino tourism sector with an uncertain future. 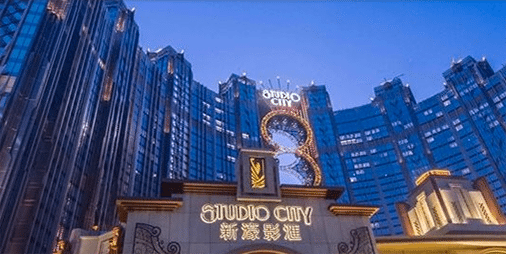 Crown Melco also operates several Macau casino resorts, including Altira, City of Dreams and Studio City. The Queensland government has officially awarded Star Entertainment Group a license to develop and operate a new casino in Brisbane. The $3 billion project at Queen’s Wharf will be Australia’s first fully integrated casino resort, featuring five hotels and over 50 restaurants in addition to gaming and betting facilities. Star Entertainment, which also operates Brisbane’s Treasury Casino, Jupiters on the Gold Coast and The Star in Sydney, has a 50 per cent stake in the joint multinational venture with Far East Consortium and Chow Tai Fook Enterprises. The issuing of the casino license will see the Queensland government earn a $213 million cash injection, of which Star is expected to pay $77m by October 27, 2016. While the Brisbane resort project begins to take shape, things are also moving forward in Sydney with the unveiling of three shortlisted designs for a new 60-storey, 215-metre hotel tower at The Star casino. Featuring 220 rooms, the proposed $500 million high-rise will be operated by Marriott International as The Ritz-Carlton. “When Star Entertainment told us about its plans to transform its casino into a truly international-standard integrated resort we knew having The Ritz-Carlton hotel on top of the signature high-rise tower, with spectacular views of the Sydney Harbour Bridge and CBD skyline, was a great idea,” said Craig S. Smith, president and managing director of Marriott International Asia Pacific. The firms in contention are BVN, FJMT and Grimshaw Architects, all of which boast diverse portfolios that include major works in Sydney, Melbourne and Brisbane.